As I mentioned the other day, my mom and I were making these "boxer style" diaper covers and just LOVED how they were turning out. They are "boxer style" because they have an open fly (like daddy's) but it is secured shut by two cute buttons. I have been hemming and hawing about starting up an etsy shop for a year now and just decided to give it a shot. I will say that this blog will never be about pushing my designs or products but I wanted to do one inital post to show you what I am working on over here in Arizona. The squares below are all of the fabric choices that I have so far and the covers can be made in any size. 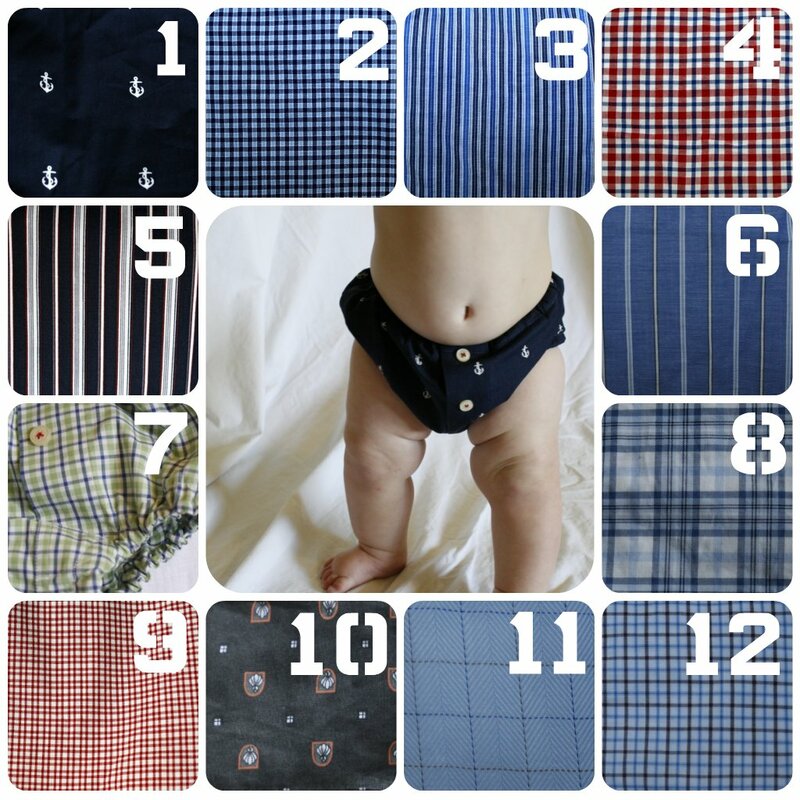 Sully wears the larger size (6-12 months). If you are interested go take a peak at my shop. There is only one cover on it right now ready to ship but more can be made and customized by me pretty quickly. Let me know what you guys think because I trust and value your opinion!